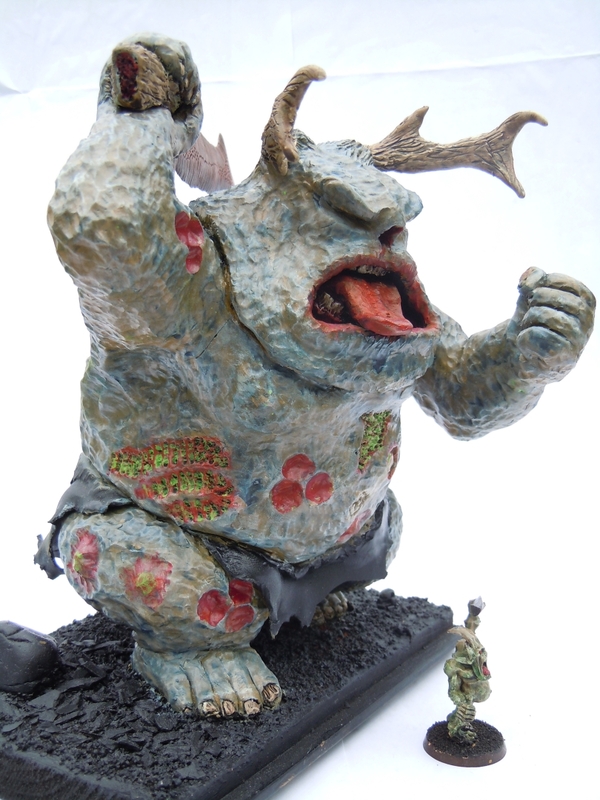 I’ve built a scratch-built a Titanic Greater Daemon of Nurgle here is the initial sketch. 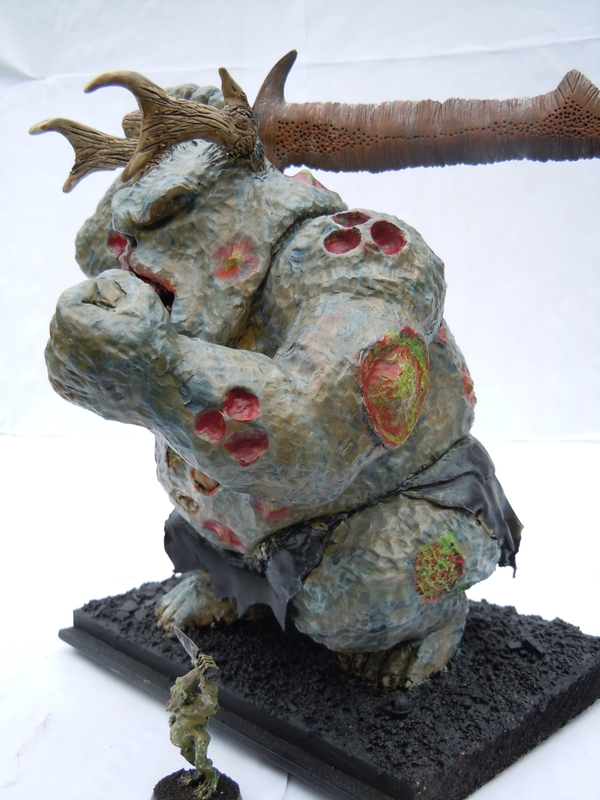 Here he is in all his rotten glory. 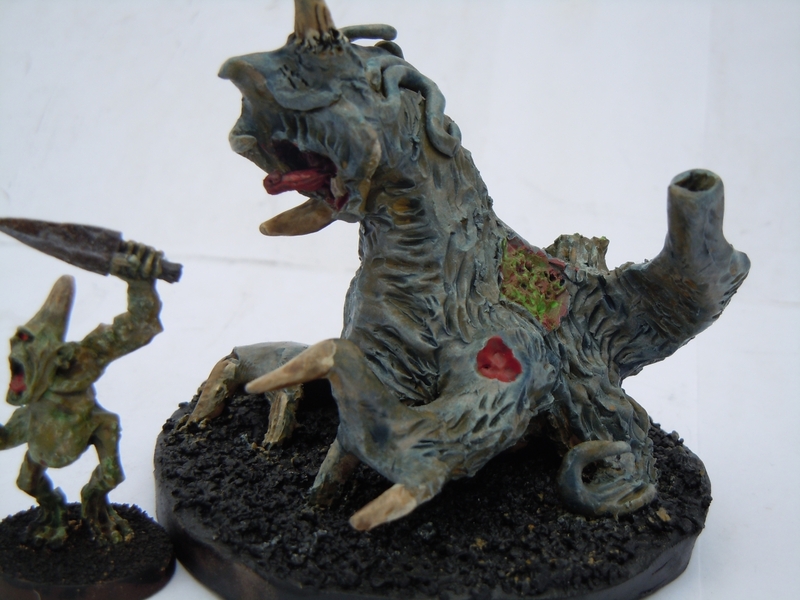 A titanic warp-spawn as big as a house. 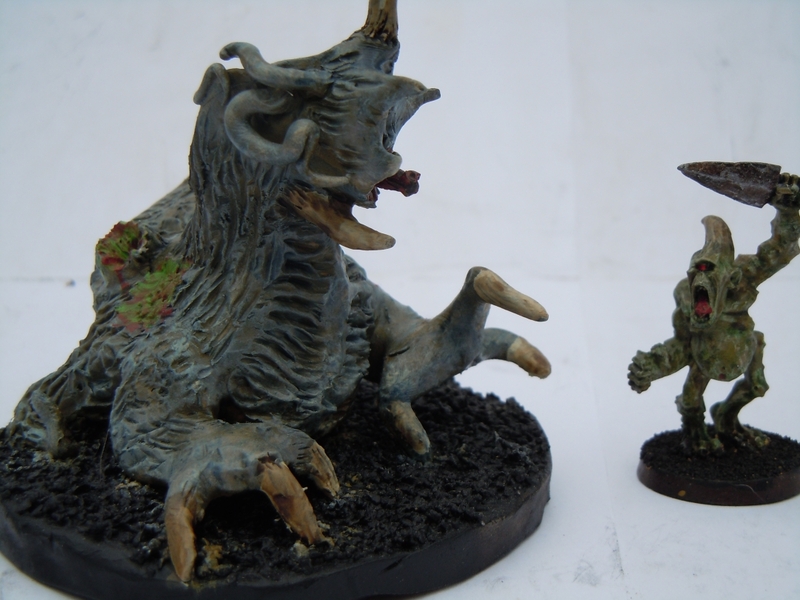 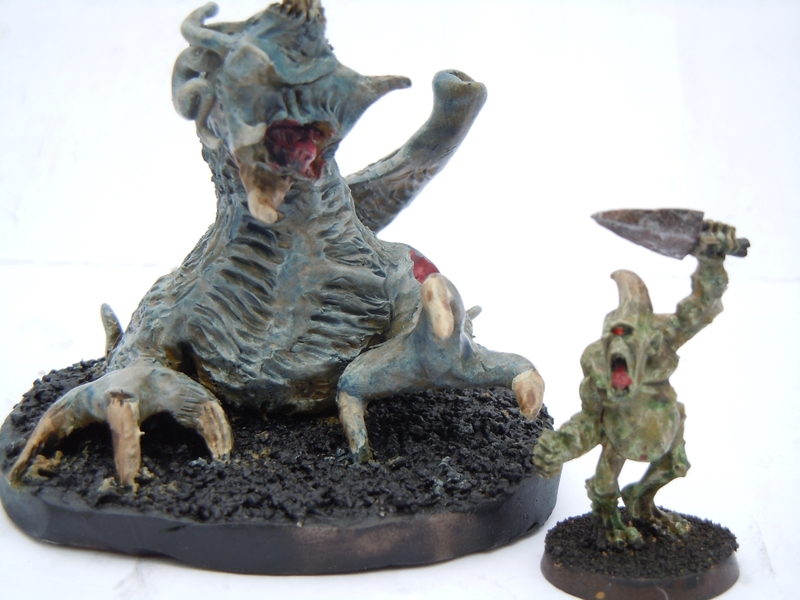 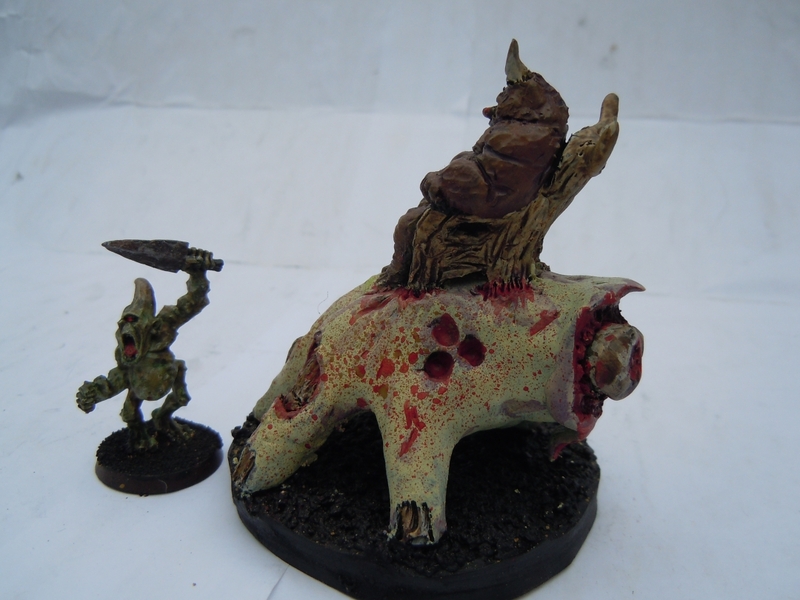 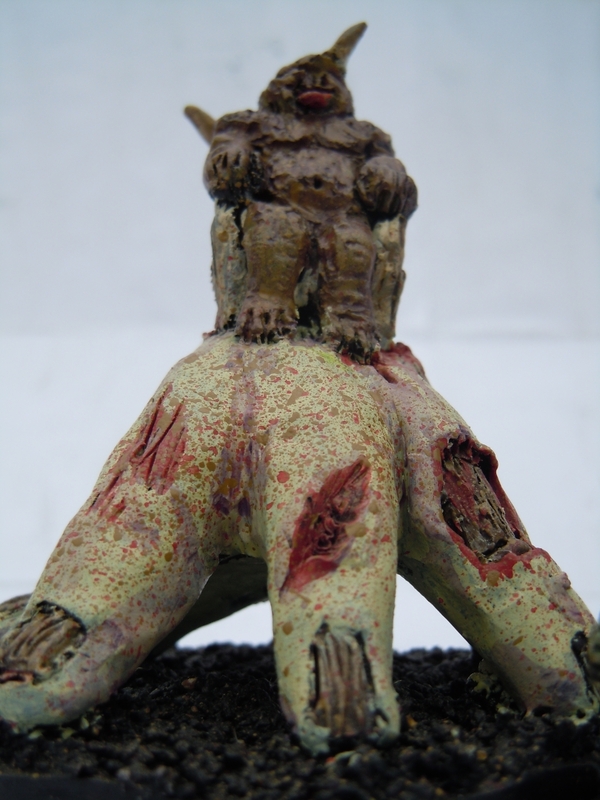 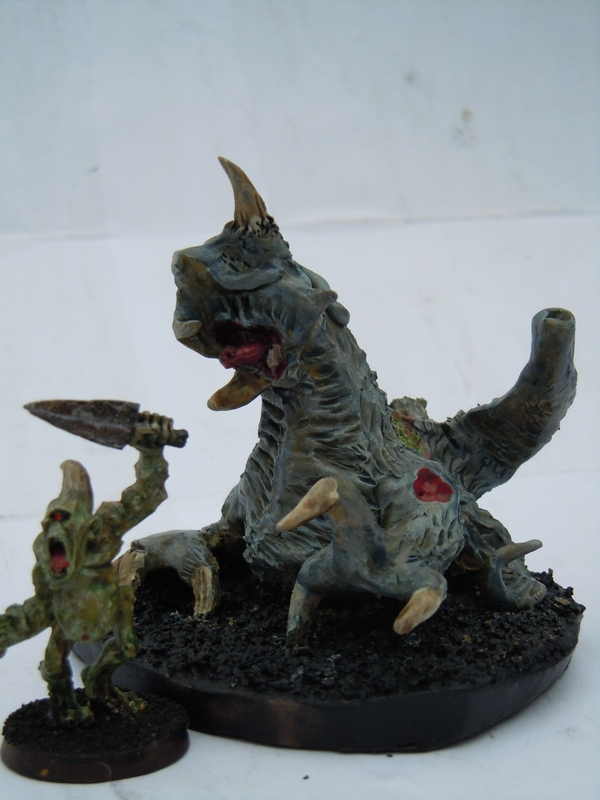 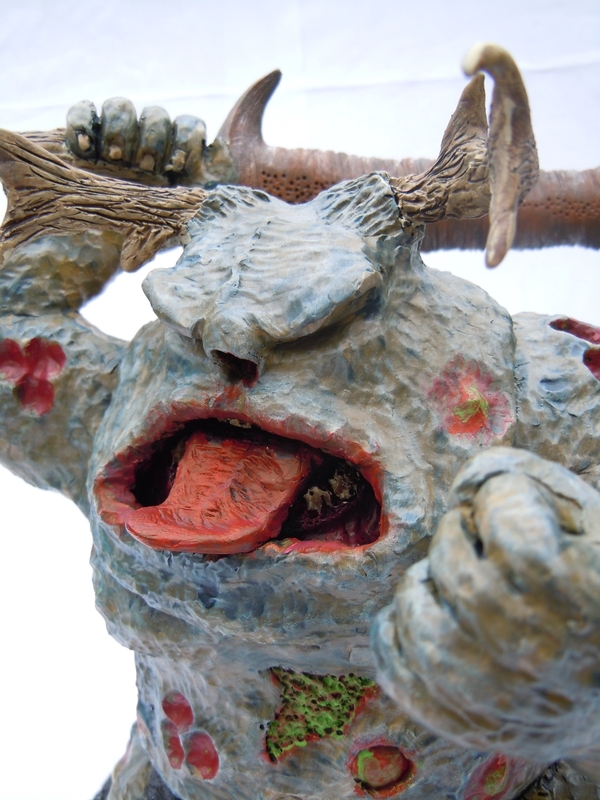 To accompany Bogrotte I built a custom Herald of Nurgle carried on a monstrous severed hand. 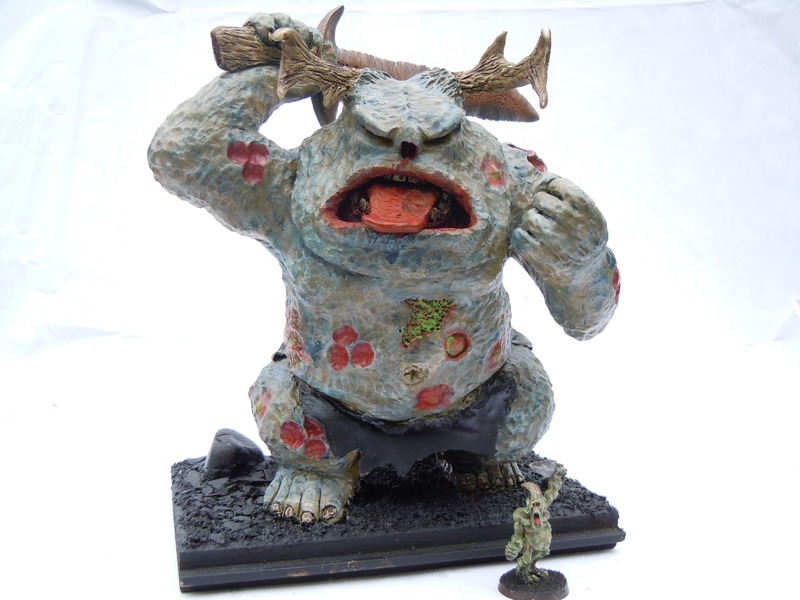 Also I built an over-sized beast of Nurgle.